When it comes to beer in Buffalo, everything old is new again. That's the view of two authors, Ethan Cox and Michael Rizzo, who say the emergence of microbreweries in Buffalo, in some ways, reflects the atmosphere of decades ago when there was a heavy presence of beer makers throughout the city. WBFO's Mike Desmond talks with the authors of the book Buffalo Beer: The History of Brewing in the Nickel City. 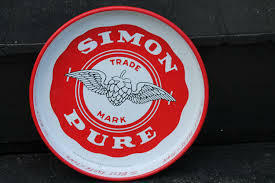 Simon Pure is one of Buffalo's legendary beers. Authors Michael Rizzo and Ethan Cox take readers on a beer-filled trip down memory lane with "Buffalo Beer: The History of Brewing in the Nickel City." They shared some of their insights in a recent conversation with WBFO's Mike Desmond.